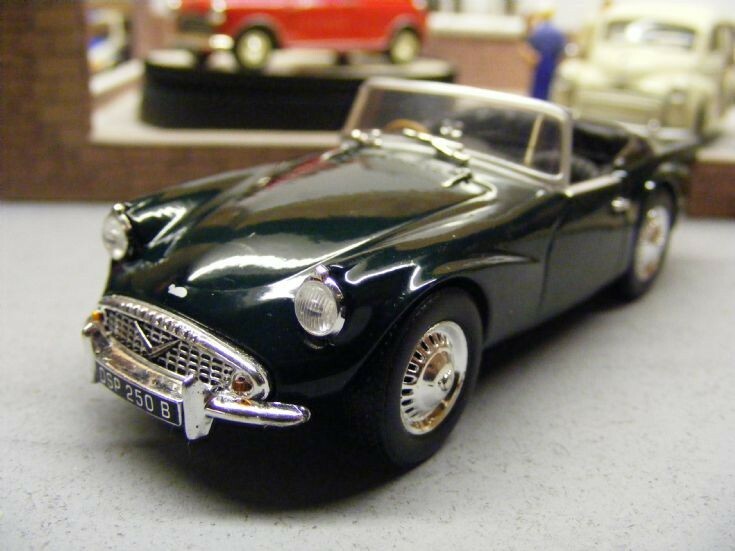 Further new additions to my collection which arrived over the Christmas period include this long awaited Daimler SP250 (Dart) Roadster in British Racing Green from Atlas Editions in 1:43rd scale. A real treasure this one! Nice, Hope they add a police version as well. Added by Louis van Telgen on 21 January 2016. I would say that is a must, currently Oxford Diecast are producing the model in Red and Cream so it is more than likely as Oxford produce the range of Police Vehicles. Added by Ray BENNETT on 21 January 2016.